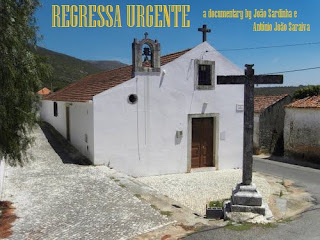 As I mentioned before on this blog and on the Facebook page as well, as part of my research on Luso-descendant returnees, I recently put together a documentary with a colleague of mine by the name of António João Saraiva. After spending the Summer editing the film will Neel Naik of Ra Atelier, we are now ready to show the world the fruits of our labour and to show this little snippit of life taken from the journeys of Marta Raposo at a critical time in her life as a fadista (or fado singer) in the Portuguese world of fado. 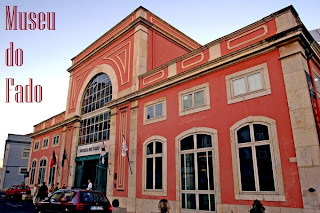 That said, we kick off with the documentary's official launch which will take place on Friday, Dezember 9th at 9:00PM at the Fado Museum in Lisbon. We couldn't have asked for a better location and we thank the Fado Museum for having us for this one night. As almost everybody knows by now, Fado is now on UNESCO's Intangible World Heritage list. The Portuguese music of fado has been reaching the four corners of the world of late. We are undoubtedly happy as well as lucky to be putting out our film at this time, riding the coat tales of fado's current success. Marta's story, however, is a little different from the stories often associated with fado, tied to Lisbon's traditional neighbourhouds such as Alfama and Bairro Alto. Marta's fado is peripheral in every sense of the word, and, above all, in her geographies (from the Margem Sul of Greater Lisbon or Lisbon's South Bank to her ancestral village to Montreal, land of emigration). We started following Marta 5 years into her journey in Portugal, at a time when she was again preparing to return to Canada; a pivotal period that ended up triggering divided feelings of belonging, carrying with them doubts and regrets. The desire of wanting to succeed in the 'land of fado' was now to be left suspended, but the question that arises is why. 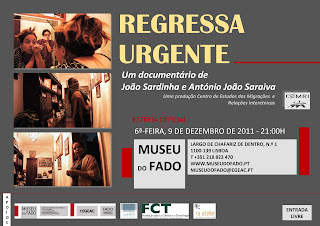 We are inviting one and all who may be interested in this story to join us at the Fado Museum on Dezember 9th at 9:00PM. Seating is limited so we are doing a first come first serve. 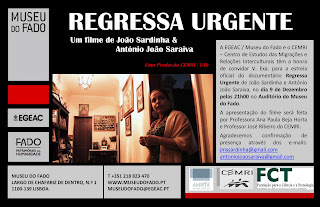 E-mail me at jmssardinha@gmail.com and we will put you on the list. Here's an invitation to all. I will be informed many new stuff proper here! Good luck for the following! type of clever work and exposure! Keep up the awesome works guys I've added you guys to my own blogroll.